Our goal is to connect people with the best local experts. 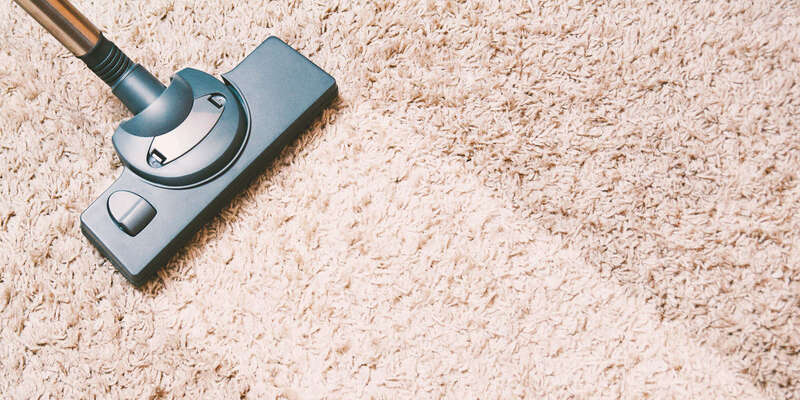 We scored carpet cleaners on more than 25 variables across five categories, and analysed the results to give you a hand-picked list of the best carpet cleaners in Pasadena, CA. Alhambra Carpet Cleaning serves homes and businesses throughout the Alhambra area. They are dedicated to assisting clients with any carpet concerns they may have by providing quality services. Their professional technicians utilize state-of-the-art equipment and the right chemicals to clean all types of carpets and rugs, and they are experts in stain and mold removal. Alhambra Carpet Cleaning provides a wide range of residential and commercial cleaning solutions for carpets, rugs, upholstery, curtains, oriental rugs, mattresses, furniture, tile and grout, marble, and stone as well as odor removal services. They also offer 24/7 emergency services for water damage and restoration needs. Crown City Carpet Cleaning has served business and residential customers in the Pasadena, California area since 2008. The family-owned company specializes in carpet and upholstery cleaning as well as wood floor refinishing, mattress cleaning, and tile and grout cleaning. The technicians at Crown City Carpet Cleaning are trained to not only eliminate dirt and stains from carpets and furniture but also allergens and pollutants. The company offers 24/7 service for emergencies related to water or flood damage. Previous customers have praised the staff at Crown City Carpet Cleaning for the affordability of their services, their professionalism, and their punctuality. The business is fully licensed and insured. Elite Cleaning Services is a dependable provider of building maintenance in Los Angeles that is a bonded and insured trade. The company supports the industry’s “go-green” campaign by applying eco-smart business practices and using premium environment-friendly supplies, and it guarantees the work of the team to prove its commitment to exceptional workmanship. The experienced and carefully screened team arrives and completes the job on time, and the client types include property managers, occupants, owners, and agents. Elite Cleaning Services handles residential and commercial projects of any scope, and it will gladly furnish customers the material data sheets to show its compliance with the Occupational Safety and Health Administration’s guidelines. The staff accommodates inquiries in English and Spanish, and it does not charge for the consultation. Whether customers just need help keeping up with housework or have water damage from a burst pipe, the caring and dedicated experts at Henry’s Family Carpet Cleaning are ready to go above and beyond every time. Carpets and rugs collect all kinds of soil, moisture, spills, and stains and can make indoor living uncomfortable and unsanitary without proper cleaning. The company’s technicians have all the tools and materials they need to give any rug or carpet a fresh, clean look and feel, even in areas with heavy pet, food, or grease stains. The company also offers emergency water extraction and restoration, tile and grout cleaning, upholstery cleaning, and mattress cleaning, as well as specialized service to get rid of clogs and debris that block air ducts and spread pollutants and allergens around the home. Available around the clock, every day of the week, for clients' emergency needs, Pasadena Carpet Cleaning is a professional carpet cleaning company in Pasadena, California that serves clients in the surrounding metropolitan area. Additional services provided by the company include work with wood floors, the cleaning of rugs and upholstery, air duct cleaning., steam cleaning, pet odor and stain removal, water damage restoration, tile cleaning, deep shampooing, and more. The company offers prospective clients a free quote on its services and accepts all major credit cards as payment options. Pasadena Carpet Cleaning was founded in 1994 and can be contacted by phone or email. Pasadena Carpet Cleaning Pros is a residential and commercial cleaning business that uses low-moisture hot water extraction to clean carpets and upholstery. They use eco-friendly cleaning solutions that are safe for pets and children, and have expanded their coverage to more than 100 cities in the Valley. Pasadena Carpet Cleaning Pros offers fire and water damage repair to its customers and can also clean mattresses in RVs, boats, and homes. Clients have responded positively to the company’s professionalism and commitment to customer service and have helped expand the company via positive word of mouth. Pasadena Carpet Cleaning Pros also offers mold removal services and biodegradable cleaning solutions for people who suffer from allergies. Pasadena Carpet Cleaning Services offers residential, commercial, and industrial carpet cleaning services to residents of Pasadena, California. They offer full-service carpet cleaning with environmentally friendly methods and products and options that range from dry cleaning to steam cleaning. They can also perform upholstery, rug, and mattress cleaning, tile and grout cleaning, deodorizing and sanitation, air duct cleaning, mold and mildew removal, and provide water damage restoration. Their detail-oriented service even provides custom services such as rug re-weaving and custom padding. They promise customers professional insight from trustworthy, courteous, respectful technicians. Pasadena Carpet Cleaning Services offers many coupons online as well as a free expert analysis for all clients. Prettyplus Carpet Cleaning and Restoration supplies residential and commercial cleaning services to Los Angeles, Orange County, and Santa Clarita, California. They offer carpet cleaning and installation, rug cleaning and repair, tile and grout cleaning and detailing, and upholstery cleaning. The technicians at Prettyplus Carpet Cleaning are licensed and trained and use updated equipment to ensure customers receive high-quality service. Prettyplus Carpet Cleaning’s priority is restoring carpets, rugs, and upholstery to their original condition, which can be damaged by pets, spills, and other accidents. Customers describe Prettyplus Carpet Cleaning as responsive, prompt, and professional, and appreciate their attention to detail and thorough work. Proclean is a business that has been serving customers in Orange County, San Gabriel Valley, Riverside County, Los Angeles County, and San Bernardino County for more than 25 years. Services the business offers include carpet cleaning, area rug cleaning, upholstery cleaning, pet odor removal, stain removal, carpet repair, and tile and grout cleaning. Proclean also offers 24/7 flood clean-up service. Proclean uses non-toxic products and offers a 100% Satisfaction Guarantee. The business is Service Magic Screened and Approved. The business’ hours are Monday to Friday from 7 a.m. to 8 p.m., Saturday from 7 a.m. to 6 p.m., and Sunday from 9 a.m. to 4 p.m. Customers appreciate their quality of service and professionalism.